Three billion people don't have the tools they need to manage daily life, deal with emergencies, and achieve their dreams. 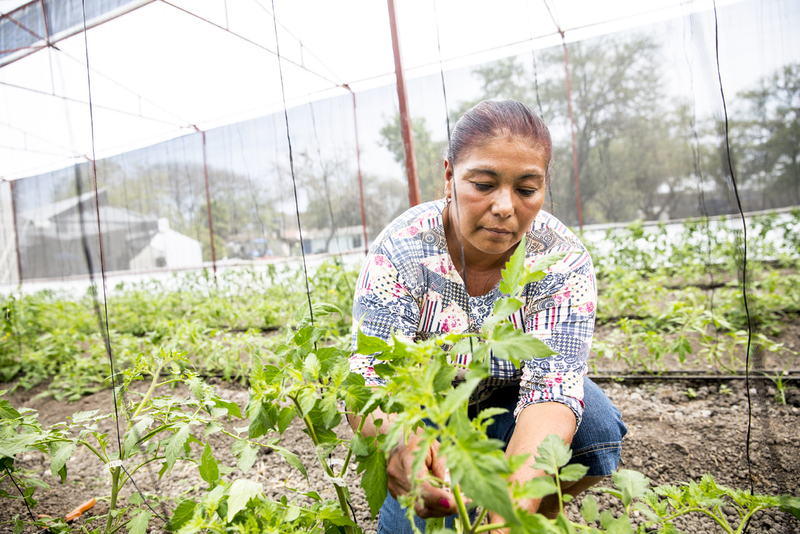 Emma Maria Guadarrama, a client of CrediConfia, can invest in farming methods that extend past the traditional harvest season. High-quality financial services can make their lives much more manageable: financial services help reduce the shock of an unexpected bill by half. Many of us receive our bills and salaries on a regular schedule. That predictability lets us plan ahead. But this isn’t the case around the world. Nearly two-thirds of the world’s poor make a living through agriculture, and many of these farmers collect money only once a year. To support their business and families, they must stretch their income from one harvest to the next. High-quality financial services can make their lives much more manageable: financial services help reduce the shock of an unexpected bill by half. Payment services let families quickly receive help from abroad. And savings accounts ensure that workers’ income remains safe. 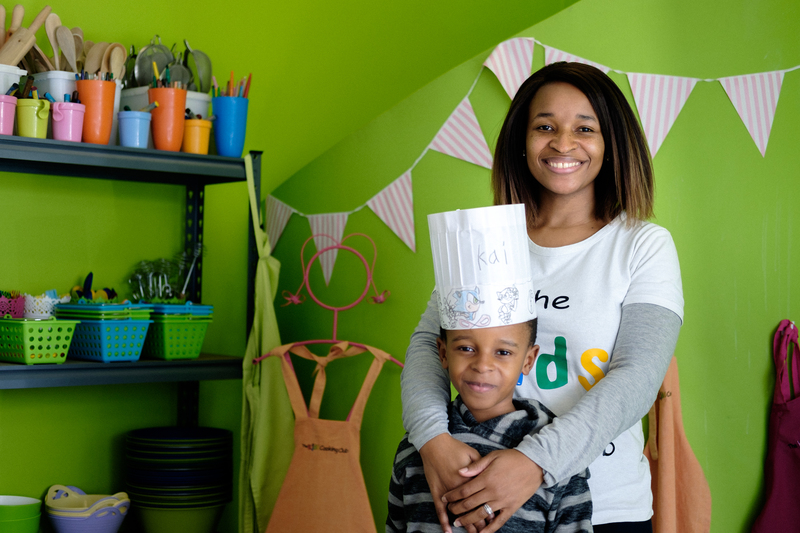 Together, financial services ensure that parents can put food on the table throughout the year, manage expenses, seize opportunities, and endure shocks. They make it easier for us to plan, prosper, and live better lives. Mondisa, a client of Lulalend, can access capital to grow her business and enrich the lives of many more children. Our portfolio partners help more than three million clients protect their savings and plan for the future. Around the world, families strive to provide a better future for their children. Whether it’s purchasing a home or paying for school, families everywhere work hard today to realize future hopes and dreams. Savings help us realize those aspirations: while cash can be stolen or misplaced, formal savings are secure — and even earn interest. Savings are also a cornerstone of financial health and represent one of the most basic indicators of financial inclusion. But far too many people don’t have the tools they need to set money aside. In 2017, only 48 percent of adults saved at all — a decrease from the previous three years. Our portfolio partners help more than three million clients protect their savings and plan for the future. We’re also using technology to make it easier for workers to set aside money for college tuition and helping financial service providers build mobile tools that let clients save. Pedro Macario, a client of Tienda Pago, can quickly access the capital he needs to keep his shop running. We’re working with our portfolio partners to make it easier to send and receive money electronically. Fast, safe, and reliable electronic payments save us time and money: without electronic payments, we’d need to travel and stand in line to pay every bill. Unfortunately, that’s the case for billions of people and businesses. A recent study found that more than just over half of adults relied entirely on cash. In addition to wasting their time and money, cash is invisible to lenders: it doesn’t generate credit histories and prevents families and businesses from borrowing appropriate financing if they need it. We’re working with our portfolio partners to make it easier to send and receive money electronically. From international remittance services that allow family members to send money home without incurring high fees, to providing debit and card readers to merchants, we’re helping people get back their time, save money, and benefit from the formal financial sector. 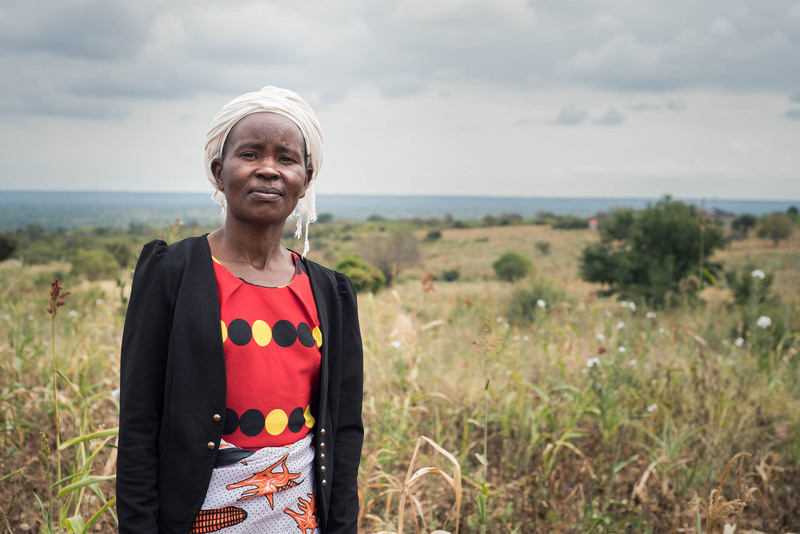 Rose Kilonzo, a client of Pula, has the insurance she needs to protect her family in case of a bad harvest. High-quality financial services can help farmers purchase better seeds and fertilizer. In sub-Saharan Africa and Asia, smallholder farmers provide over 80 percent of the food supply. But these small businesses — and the communities that rely on them — are increasingly vulnerable. Nearly two-thirds of poor working adults make a living through agriculture; low-income households tend to be more affected by droughts, floods, and other extreme weather because of their reliance on agriculture. High-quality financial services can help farmers use insurance to protect their livelihoods and access the credit they need to purchase better seeds and fertilizer. Accion and our portfolio partners are helping farmers, their families, and the people they feed thrive. 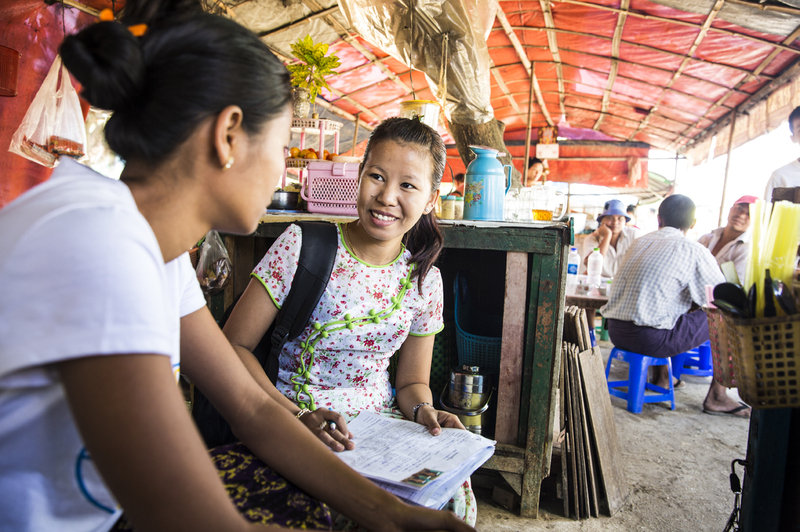 Aye Aye Myint, a loan officer with DAWN Microfinance, can now spend more time in the field with clients and less time sorting through paperwork. We're working with our portfolio partners to find innovative, scalable ways to give small businesses the financing they need. Every entrepreneur needs financing to launch, grow, or improve their business. That’s always a challenge, but it can be nearly impossible for underserved entrepreneurs to obtain financing. In many cases, there aren’t enough lenders that are willing to work with them. Underserved businesses are the ‘missing middle’ — they’re either too small for commercial banks to lend to or too large for traditional microfinance. The world’s entrepreneurs face a financing gap that’s grown to more than $5 trillion. That makes it harder for entrepreneurs to launch new businesses, hire more employees, and create new services that communities might need. At Accion, we’re working with our portfolio partners to find innovative, scalable ways to give small businesses the financing they need. Together, we’re analyzing social media usage, using satellite imagery, working with wholesale suppliers, and using other innovations to help entrepreneurs, their employees, and their families. 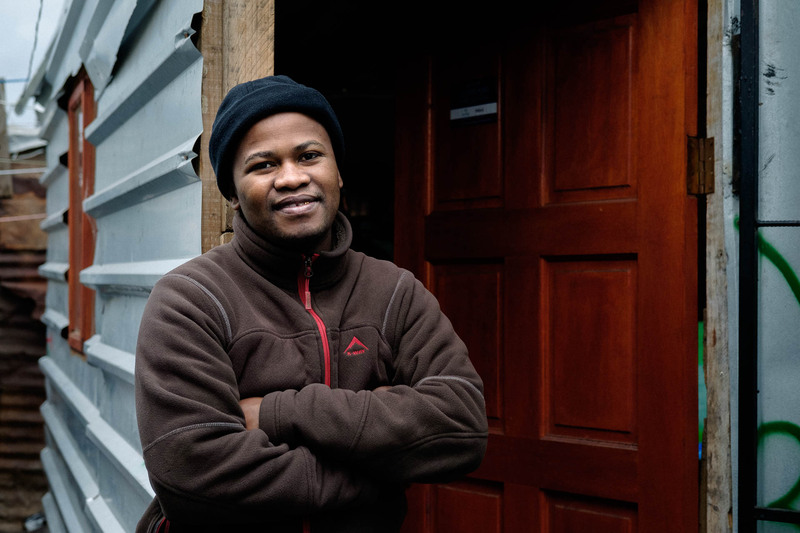 Siphumelele, a client of Lumkani, has fire protection and insurance even though he lives in an informal settlement. Our portfolio partners are using new technologies to provide clients with the insurance they need. Far too many families are just one injury, illness, or natural disaster away from ruin. Without insurance, it’s harder for communities to rebuild or for families to recover from an emergency. Climate change will only make this problem worse: the poorest households tend to be the most vulnerable to climate change; natural disasters can lead to smaller crops, poorer health, and weaker economic performance. 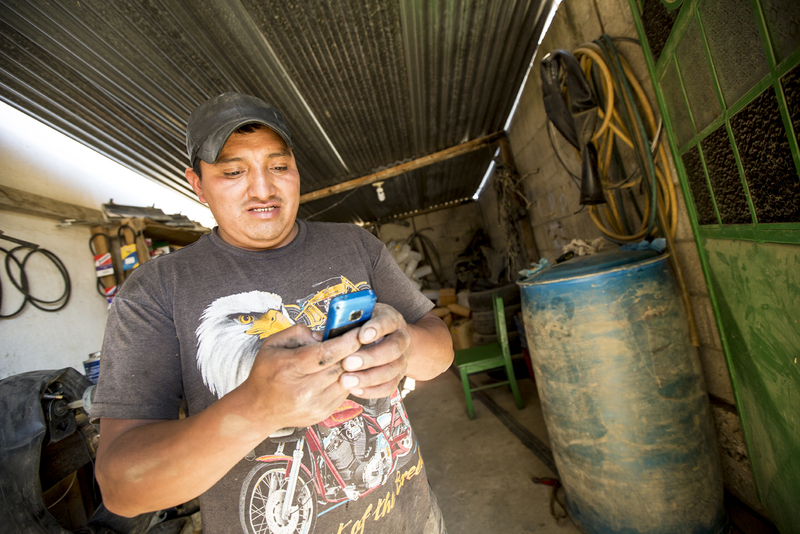 Accion and our portfolio partners are using new technologies to provide clients with the insurance they need to feel safe, receive healthcare, and rebound. Together, we’re providing the products and services that create stronger, more resilient communities and healthier families. We're helping families and businesses reach their economic potential and build better lives.